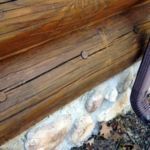 Telling signs of wear and damage are logs with checks and cracks. Cracks in your logs can cause some serious problems. However most cracks are nothing to worry about. 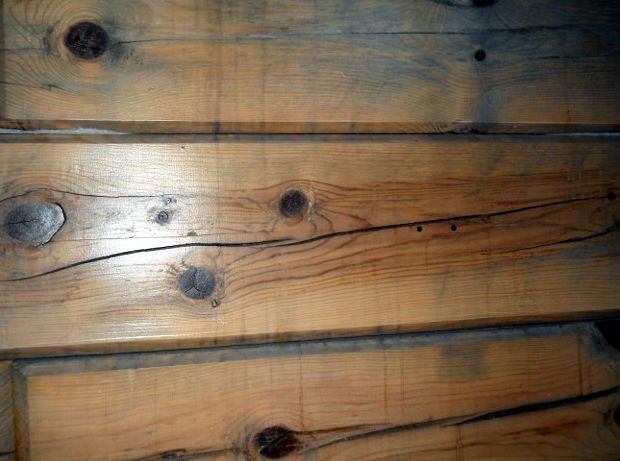 It is natural for wood to crack or check as it dries and this is actually part of the charm of a log home. It’s that rustic, weathered look that makes them unique. 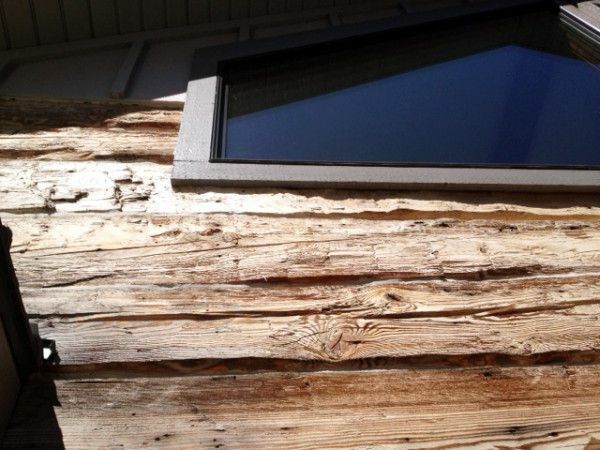 How to caulk checks in a log home from matt edmunds on Vimeo. Are the checks over 1/4″ wide? Are they on the up or top side of the log surface? Are they in vulnerable places such as around windows, doors, where a deck is attached, etc? If the answer is “yes,” then the checks or cracks may be a problem, or become a problem in the months or years to come. Left untreated – cracks can become unsightly and more difficult to repair. Upward facing checks can allow moisture to get into the logs. Too much moisture in a log leads to rot. Checks can also cause logs to rot. Water gets in and can travel along the log and cause more damage to that log and to adjoining ones as well. Stuff flexible backer rod such as SOF rod into the check up to about 3/8″ from the surface. 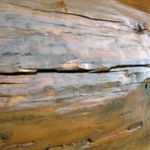 Consider using painter’s tape to mask off the surface of the log to prevent caulking from smearing onto the surface of the log, creating a mess to clean up. Apply a good quality, siliconized latex caulk (not pure silicon) into the check, bringing it out close, but not even with the surface of the log. Skim off the excess caulking with your finger or a putty knife, making sure the caulking makes a strong, consistent contact with the top and bottom of the crack. Remove tape if it was used. 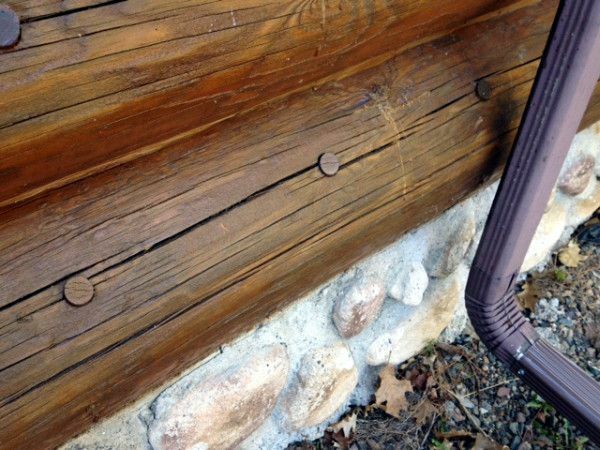 There are similar issues that can signal a need for new chinking and caulking such as drafts and cracks in caulk. 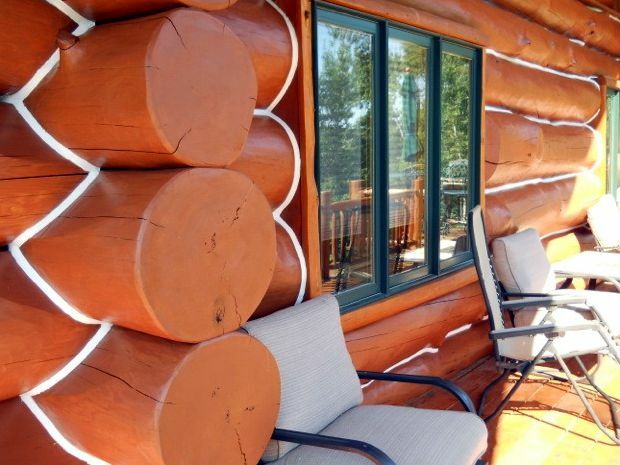 For more information on chinking and caulking your log home click here. 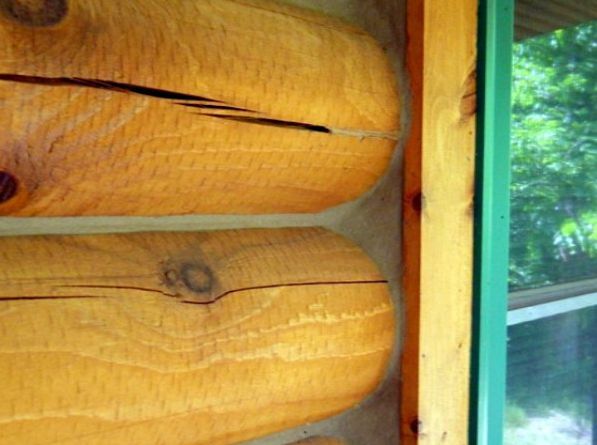 Drafts or air leaks in your logs? 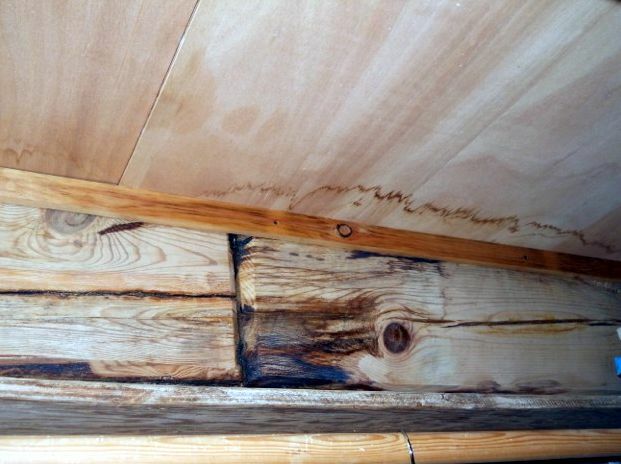 It is not uncommon for log homes to develop a problem with air leaking into the interior. They can become drafty. With cold winters and hot summers, it’s important to keep air leaks to minimum for the comfort reasons. But there can be an even a bigger issue when it comes to air leaks… they can turn into water leaks as well and this can lead to rot. Edmunds & Company can help you figure out where those often-illusive leaks originate and we can resolve the problem. This same leak can cause major interior damage if water makes its way inside. 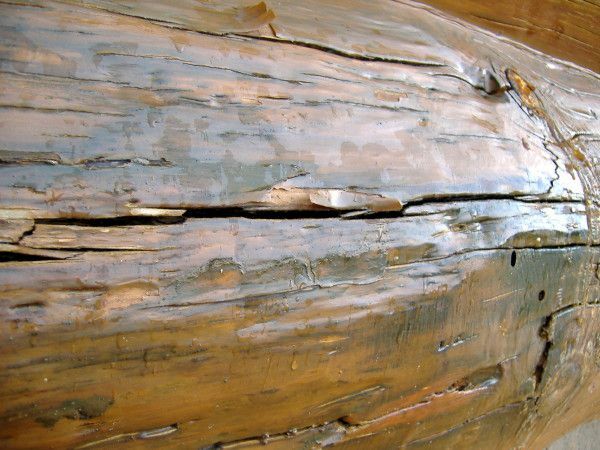 It can discolor the logs and if left unresolved, over time it can cause those logs to rot. An air leak can be costly in terms of energy loss and higher heating and cooling bills. Leaks, whether they are air or water leaks, are holes in the building what should be fixed. Large gaps need to be filled with chinking. 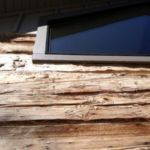 Determining whether or not it is worth the expense of chinking your logs depends on if you use your log home as a cabin only in the summer or as a year-round, heated home. 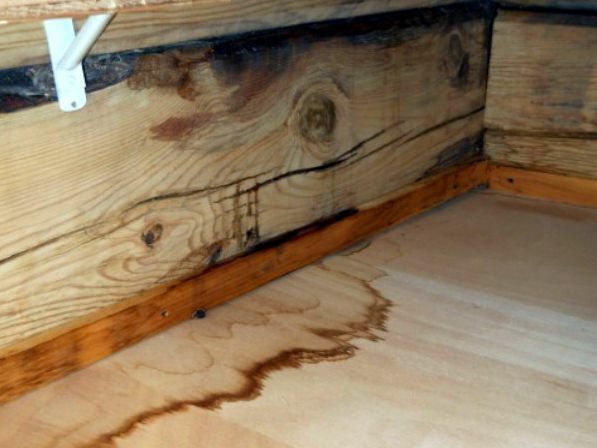 No matter what, if your logs are leaking water, something needs to be done sooner rather than later. This is a much more serious issue than air leaks. Sealing up the log joints to prevent leaks is important. It is important to seal around trim details to prevent air and water leaks.